Deck Building & Deck Upgrades | Pro-Line Contractors, Inc. Your backyard can be so much more than grass. It can become an incredible outdoor living space. Let Pro-Line help with deck building and maintenance. Decks, patios, porches, pergolas, fireplaces and pits, swings, gardens, gazebos, and kitchens are our most common additions to backyards. The experts at Pro-Line can help you handcraft the backyard of your dreams with all the amenities that you desire. Deck building can seem like a daunting task, but the experts at Pro-Line will make it as easy as painless as possible while working within your budget. We will give you a FREE estimate and our professional contractors will provide you with all the options you need to customize your deck exactly the way you want it. You make the decisions like: shape, type of wood, finish and our team will handle the rest. Our team is efficient and clean with all of our repairs and remodels and we will leave your backyard in better condition than we found it – guaranteed! Without proper deck maintenance, the first thing to go will be the finish. A dull finish makes a deck look grey and dreary. Then, wood will start to buckle and warp due to the lack of protective coating that should be on the wood. If neglected, watching your deck become worn, old, and tired year after year is a bit depressing and will make you not want to go outside to even look at it. If this sounds even a little bit like you and your deck, do yourself a favor and give us a call at Pro-line. We can make it so you can be proud of your deck looking new again. Spring time is the best time to remove all items from your deck and giving a good cleaning, this will help us inspect and work. After cleaning up the area from all the winter debris, sometimes it can seem like having a beautiful outdoor deck again isn’t going to be possible. The snow can ruin your sealcoat, the railings loosened from the kids and guests, freezing and flooding has tarnished and warped the surfaces, and the steps are chewed up from the dogs. We know how it goes – and our team can fix every aspect of your deck and make it new again. Once everything is removed from the deck area inspection can begin. If any services need to be addressed, it best to note and act as quick as possible. Your deck just might need to have its posts inspected if you have a freestanding deck – we will also check for splitting wood and other dangers that needs repairs. We will check out your deck and see if needs work – make an appointment today: 708-479-1237. 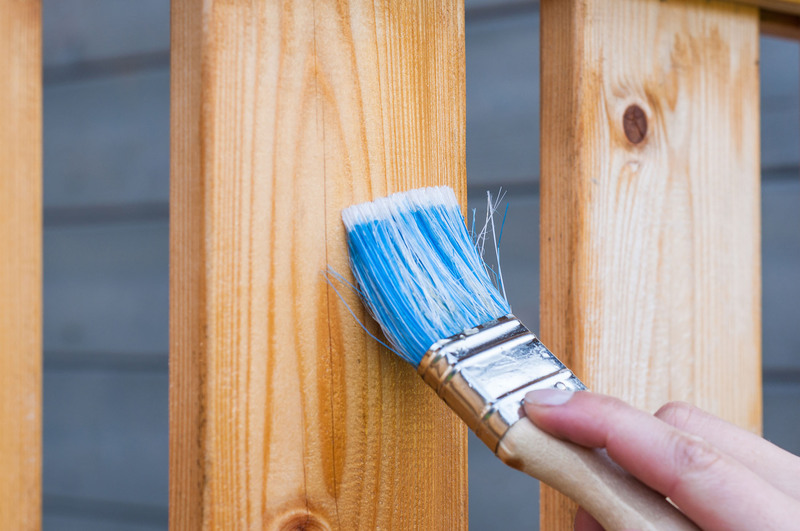 While we are repairing your deck, you may consider having us make some improvements to your standard deck to make it really stand out in the neighborhood. The possible deck upgrades are endless: decks can gain eating areas, your patio can be turned into a sunroom, underneath the porch can be turned into a locked enclosed storage unit. Or how about a dreamy gazebo in the middle of your yard? Invite our professional contractors over today for a FREE estimate, we will be happy to brainstorm your options and talk about feasible placement possibilities. You do not need to be indoors to enjoy the warmth and relaxation that a cozy fire provides. There is NOTHING like a nice quiet cool summer night around a fire. Get a free estimate today for yours. 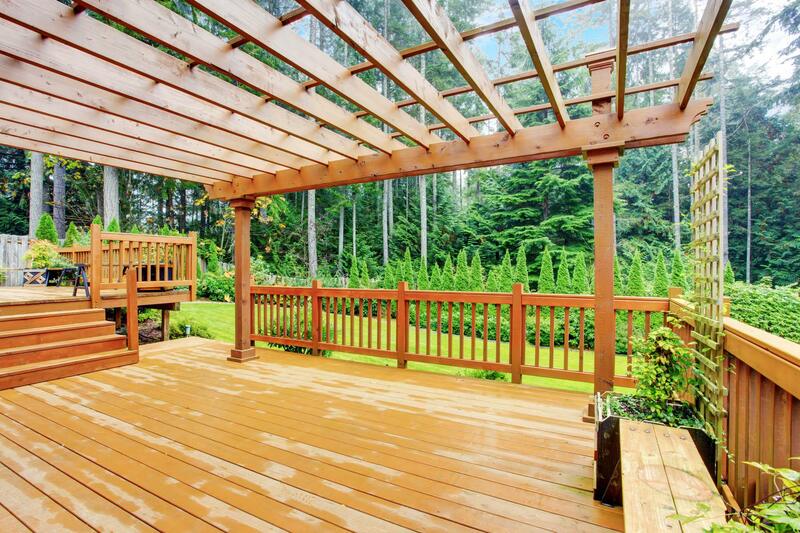 A pergola is an effective luxury addition to your deck building. We do an excellent job of sectioning off an area of an existing porch or deck and making it feel more roomlike, while remaining open and airy. The open canopy and structure of pergolas provide a myriad of decorative options from modern to traditional garden. When you want to do more than just barbeque outside, we can create a space to dice, fry, chop, and entertain your guests in an outdoor kitchen. A kitchen is an amazing deck upgrade.